Kevin Harvick needed a win in Phoenix to be a part of the Champion 4 next weekend in Homestead and rose to the occasion with a dominant performance. 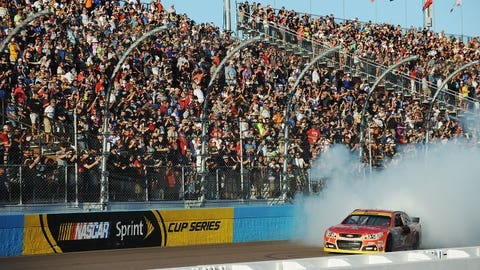 When NASCAR Chairman and CEO Brian France changed the format for the Chase for the NASCAR Sprint Cup this year he said he wanted to create "Game 7 moments," referring to the drama found in sports like Major League Baseball and the National Hockey League. He got one Sunday afternoon at Phoenix International Raceway in the final race of the Chase’s Eliminator Round. 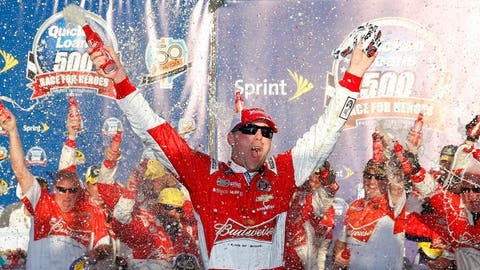 In an ordinary NASCAR regular-season race, people would be talking about how Kevin Harvick stunk up the show in winning at PIR, where he led 264 of 312 laps and was never seriously threatened for the victory. This race would have been a snoozer fans would have hated. Instead, the tension was sky-high from the moment the starter dropped the rag to start the race until Harvick took the checkered flag. The reason is that eight drivers were fighting for just four spots in the Championship Round of the Chase, which takes place next Sunday at Homestead-Miami Speedway. But the other three spots weren’t settled until the final lap, when Ryan Newman body slammed Kyle Larson out of the way to take the final spot by a single point over Jeff Gordon. In addition to Harvick and Newman making the Chase, Denny Hamlin and Joey Logano both recovered from being more than a lap down in the second half of the race to make it in, too. Throughout the field, the racing was compelling, the storylines ever-changing and the drama simply intense. And the end was abrupt for drivers not moving on. Brad Keselowski, the leader in races won this season? Gone. Gordon, who finished first or second in five of nine Chase races this year? Gone. Matt Kenseth, last year’s championship runner-up? Gone. Carl Edwards, in his penultimate race of his career with Roush Fenway Racing? Gone. It was crazy, all of it. Yet for as much anxiety as this format caused for the drivers, it was also a hit with them — even Gordon, who missed out on a shot at the title by just one point. "I like it. It’s exciting, the most interest I’ve seen in this sport in a long, long time," said Gordon of the new format. "Not necessarily for all good reasons, but it certainly makes it very challenging and difficult to get there. Only next week will tell. You want it to just come down to the best teams. That’s not necessarily always the case." Hamlin, who will race for a championship despite having only one victory this season — May 4 at Talladega — and only one top-five in the Chase, defended NASCAR’s new playoff format, saying the people who don’t like it are those who had their favorite drivers knocked out. "The system is fine. 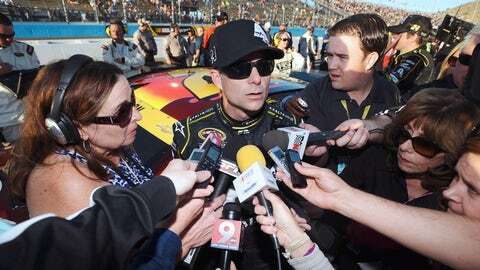 It’s exciting," said Hamlin. "Every race is exciting. There’s not been one boring race, and every race, it comes down to somebody on a restart or something. This is the best thing that’s happened to this sport in a really long time. Just because your favorite driver don’t make it, it could go the other way for them next year. Let’s just leave this thing alone for a little while." "From my standpoint, the intensity of the sport has gone through the roof," added Newman. More importantly, it has gone through the roof for NASCAR fans, who were the real winners on Sunday.